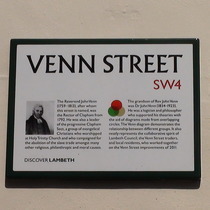 The Reverend John Venn (1759 - 1813), after whom this street is named, was the Rector of Clapham from 1792. He was also a leader of the progressive Clapham Sect, a group of evangelical Christians who worshipped at Holy Trinity Church and who campaigned for the abolition of the slave trade amongst many other religious, philanthropic and moral causes. 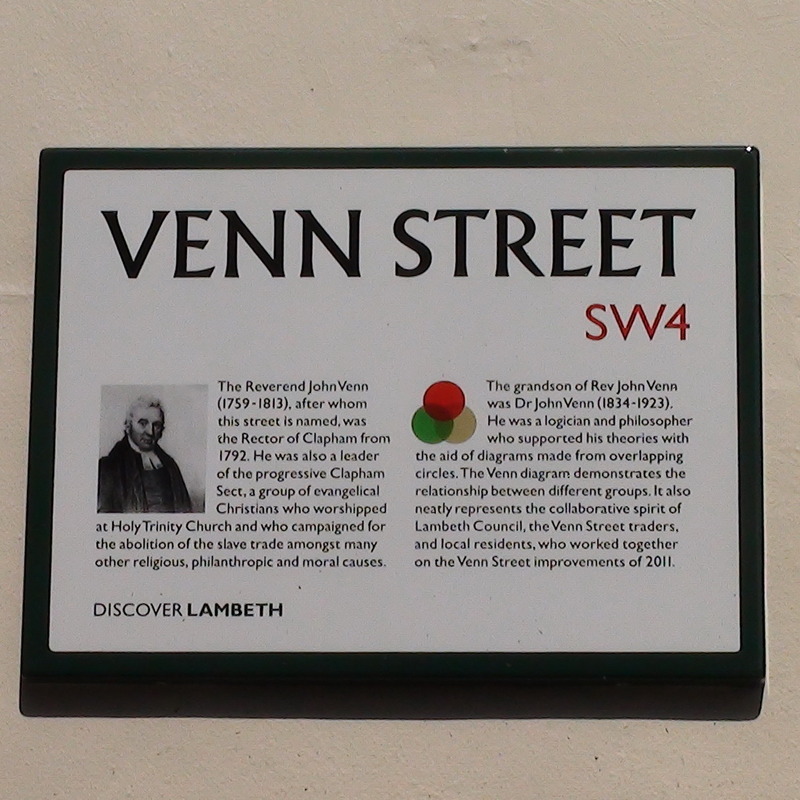 The grandson of Rev John Venn was Dr John Venn (1834 - 1923). He was a logician and philosopher who supported his theories with the aid of diagrams made from overlapping circles. the Venn diagram demonstrates the relationship between different groups. It also neatly represents the collaborative spirit of Lambeth Council, the Venn Street traders, and local residents, who worked together on the Venn Street Improvements of 2011. This street hosts an excellent food market on Saturdays.